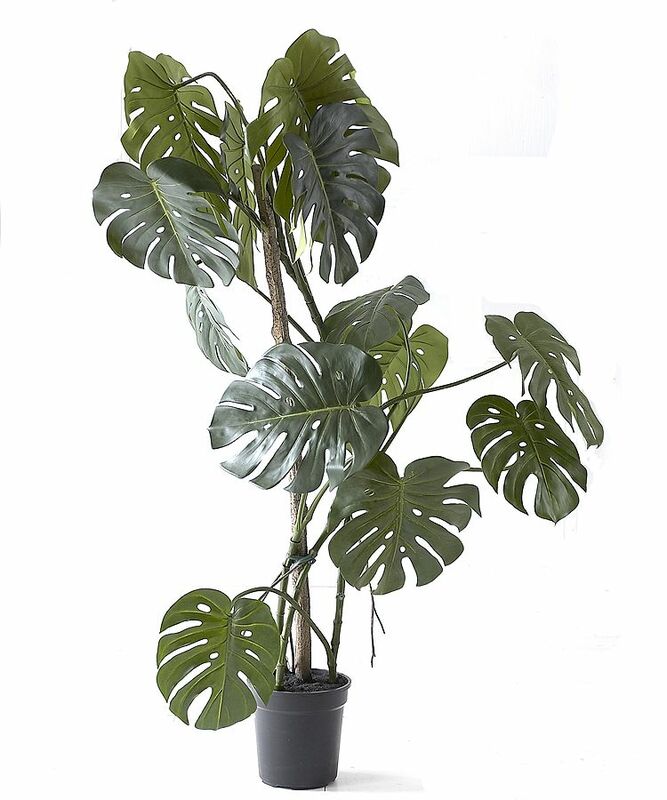 Our giant potted faux Monstera plant needs artful arrangement - see our efforts - to make it look like the real thing, but then you can forget it - and take the inevitable greenfingered credit. 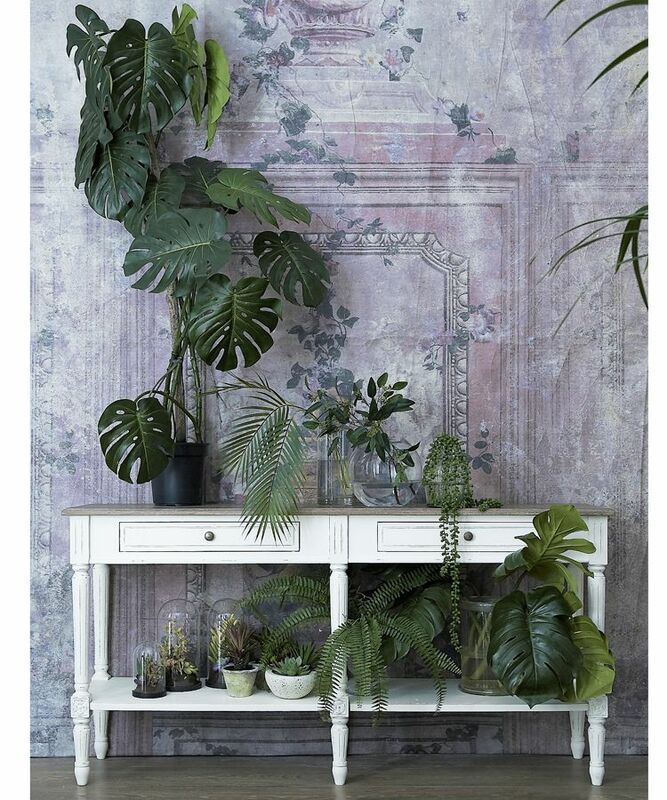 Mix with a few real plants for best effect - looks great amongst Ikea's stalwart plants which are real but virtually indestructible too. Supplied in small black pot as shown, but for even more style and stability, put it in a larger pot - filled with earth or pebbles.